​As an engineer and marketing professional coming from the world of high tech, Kiron Dhaliwal fully understands workplace stress coupled with a hectic, always-on-the-go lifestyle. Add to this an active family, and practicing self-care became the only way to feel grounded and maintain balance. 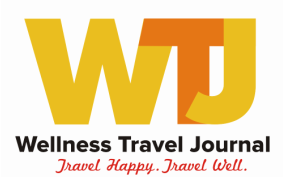 She melded her love of travel and wellness and founded San Ramon, CA-based Concierge Vacations Inc., an independent affiliate of Cadence Travel, a Virtuoso agency. She is certified as a WellBeing Travel Specialist. Based on her clients’ intentions for each trip, Kiron can help plan both leisure and corporate wellness retreats and vacations that allow them to reflect, recharge and return to both work and family with a renewed vitality. Whether it’s a program for stress-management, weight loss, sleep disorders, spiritual connection or just a digital detox, Kiron can create the ideal experience through which clients can travel well. I grew up in a sun-kissed suburb of Mexico City, and I lived in Mexico for 24 years. Growing up in one of the largest, most dynamic cities in the world has inspired me to always seek out culturally rich travel experiences, the kind that have you feeling more like a local than a tourist. Mexico is a vibrant country, and visit at least once a year with my two teenage daughters. It’s important to open our children’s eyes to the wonders of the world, by introducing them to new people, cultures, and ideas. A touch of luxury in every trip I plan. It truly elevates your travel experience to “unforgettable” levels. Designing luxury golf vacations, whether with your family, your golf buddies, or your colleagues, is a specialty of mine. My love for people and the world started my career as a travel agent. I believe everyone can afford to travel with advance planning and a payment plan you can discover the world your way. Colleen is a seasoned consultant providing clients with travel options throughout Mexico, Ireland and Hawaii. Traveling to over thirty states and countless islands across the world, Colleen’s expertise is in planning destination weddings and honeymoons as well as planning wellness retreats and golf vacations. Colleen is a Yoga Instructor, ChakraDance Facilitator, Reiki Master and golf enthusiast Colleen was recognized as VIP Woman of The Year by the National Association of Professional Women. and is affiliated with the National Association of Career Travel Agents (NACTA), Destination Wedding and Honeymoon Specialist Association (DWHSA) and Gay Wedding Institute. Colleen earned her bachelor’s degree in physical education and biology from Western State College, holds an associate’s degree in tourism management and a certificate in travel. Gone Again Travel & Tours, Inc.
Hello I’m Crystal Dyer, CEO of Gone Again Travel and Tours, creating custom itineraries for individuals and groups since 1999. I opened the first black owned storefront travel agency on the west-side of Chicago September 23, 2016. I've always believed that everyone can afford to travel by educating individuals and groups about the advantages of planning ahead and with an affordable down payment, everyone can live their dreams of travel worldwide. With every reservation that I make, I give special attention to getting the client best prices to fit their budget. I also have access to promo codes that the general public does not have access to also. I have worked in retail at Delta Airlines, ONE Travel and wholesale with GOGO Vacations. Giving exactly what my clients are looking for and what is important to them is my utmost priority. I am a Certified Travel Consultant and Event Manager with over 30 years of experience. My passion is selling vacation travel that fits the customers’ needs and itineraries and that exceeds their expectations which includes booking activities that promote physical and mental wellbeing. My specialties include, but are not limited to individual/family vacations, group travel, destination wedding planning Personal travels: Egypt, Africa, Israel, Greece, Italy, France, Spain, Peru, Ecuador, Galapagos Islands, Mexico and the Caribbean. Personal wellbeing interests: CrossFit, skiing, biking, swimming. I excel in creating memorable, thoroughly planned trips ranging from high end luxury travel to value added vacations. I take pride in working within the traveler’s budget.